Just completed reading Mark Wogan’s excellent publication named Crystal mapping; The BIGGER Picture. The book gave me quite a few “AHA” moments, but I want to focus on one that’s impacted me. It’s the power of three (3). A really good case was made for limiting the foundation of how we may best initially create our Visual maps. The power of three refers to being confined to the core, first level and second information levels. And looking further at the structure of Crystal mapping, I agree with mark’s finding; here’s why. Mark states; “the number three wasn’t selected based on any magic number theory, urban myth or mystical quality but on its practical real world ability to present information in a simple context”. Georg Wilhelm Friedrich Hegel the 19th-century philosopher put forward a three tiered evolution of thought from thesis to synthesis via antithesis in aid of the pursuit of logic. And in language and grammar; three elements are needed to form a simple proposition; a subject, a predicate and a copula. Three keeps on popping up as if it is some kind of mystical adage of getting your point across. I even find myself using the three elements stated above to get my point across most of the time. 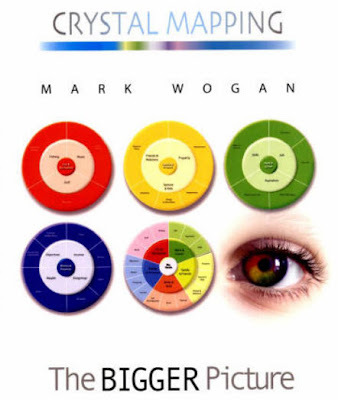 I state the Visual mapping arena is made up of three arenas; personal, academic and business. I could also state the personal has 3 sub arenas of productivity, motivation and communication, and that academia has 3 sub arenas of school, college and university, and further define business to have 3 sub arenas of service, industry and corporate. OK, I’ve just blabbed on about 3, three, III; but it does feel so comfortable to restrict to three elements, and from that point onwards to express sub associations. So, it does appear three seems to offer something, at least anecdotally, in support of qualities as a communication method. 7 (+ or – 2) is also thought of as being a magic number relating to communication based on George Miller’s work in his 1956 paper The Magical Number seven, plus or Minus Two: Some Limits on Our Capacity for Processing Information. There has however been a great deal of misunderstanding of what was meant regarding the use of seven in communication. Many have taken 7 as the standard number of units for communicating anything. 7 points on a slide, 7 words to a line, 7 paragraphs on a page; using 7 in such a format seems to be taking things too far and doesn’t seem to be what Miller meant. • What is the point being made? • How does it relate to me? Delivering information in such a way enables authors and recipients to create, manage and exchange information processes quickly and easily. By adopting such an approach; the creative processes enable a bigger picture. Another unit of three in context asks who where, and when? • Who is responsible for it? • Where is it to be found? • When will it be done? • How does this fit in with my immediate superior’s target? • How does this fit in with my immediate subordinate’s target? By managing information within a simple power of 3 contexts; instant understanding is captured. The power of 3 is experienced in and through using Crystal Mapping. It works by limiting information display to three levels within the visual workspace, presenting information initially within the simplest of contexts. Understanding is further built upon, by continuing to add more levels, while retaining the graphical display of information within units of three. It is essential to make sure that wherever you are in the organization structure, you and your team are aware of the organizational objectives. To grasp the bigger picture context you need to see how objectives fit into the overall organizational structure. 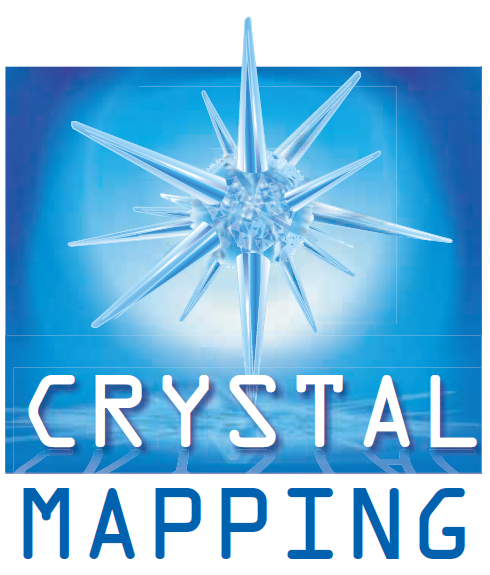 Crystal Mapping always starts with the purpose at the core or centre of the map it is easy to always see how your ‘piece of the pie’ fits in with overall information objectives. Mark Wogan believes the best way to achieve success is to make sure everyone understands the overriding mission or plan and then to let them get on with it. The Crystal mapping power of three structures enables clarity, concept in an unambiguous visual format. So; I encourage you to grab your copy of Mark Wogan's publication and experience your very own AHA moments. The product is developing at an agile rate, and it’s certainly going to evolve into a very formidable information management app for the forward thinking Information manager.